Born into a family of Venezuelan folk musicians, jazz pianist Benito Gonzalez has always had a deep-rooted appreciation for pastimes and traditions. Today, as a rising star of one of America’s finest musical traditions, Gonzalez has come to his current status by following in the footsteps of jazz’s ancestral forebears. The fusion of world rhythms and straight-ahead jazz makes this passionate performer an audience favorite all over the world. 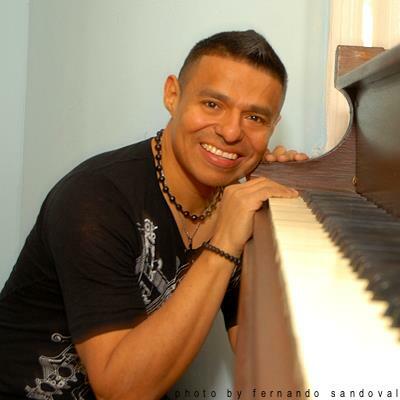 Gonzalez has a golden touch on the piano, whether he’s playing a ballad or swinging for the fences. Benito Gonzalez is being recognized as an exciting pianist and composer for his well-received debut album ‘Starting Point’ (Christian McBride, Antonio Sanchez, Rene McLean, Ron Blake) in addition to taking home first prize at the Great American Jazz Piano Competition. Benito’s acclaimed sophomore album, ‘Circles’ (Ron Blake, Myron Walden, Azar Lawrence, Christian McBride, Jeff “Tain” Watts), reveals a very personal body of work as he emerges as a leader and an accomplished improviser. Recently, Benito received more critical attention for his work on Garrett’s Grammy-Nominated album ‘Seeds from the Underground’. anything thrown his musical way. Benito Gonzalez Trio at Terraza 7. Saturday April 11th, 2015 at 9:30 pm. No Replies to "BENITO GONZALEZ TRIO"